Homeless children are attending our public schools and live within our communities—in an invisible manner. The PBS News Hour interviewed LAUSD student Nora Perez in this powerful segment over two years ago: overall, homeless rates continue to rise in Los Angeles and throughout the United States since millions of people never recuperated from the 2008 economic recession. Former President Obama was asked about the homeless problem and to his credit, he gave a compassionate response. “Part of the change in attitudes that I want to see here in Washington and all across the country is a belief that it is not acceptable for children and families to be without a roof over their heads in a country as wealthy as ours,” the President said. Many Latino parents and students who end up homeless do not speak English, and sometimes they do not know where to seek aid. Additionally, some organizations that work on homeless issues do not know how to reach out to them. Many school districts and charter schools may not be aware of the chronic homelessness among students. 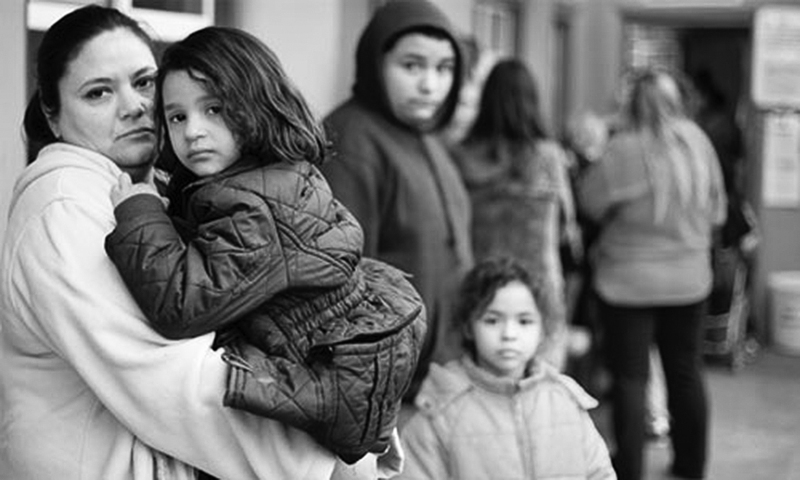 For all children, homelessness is especially tragic. They worry about where they’re going to sleep at night. They worry about both their own safety and that of their families. They worry about what their classmates will say if they see them regularly wearing the same clothes. They worry about being able to stay awake in class since they were kept awake at the homeless shelter, motel, or slept a minimal amount of time due to the lack of space and/or the discomfort of sleeping in a crowded car. These children often feel ashamed and keep their housing situation a secret from their teachers and school administrators. Many have difficulty concentrating on their academics and cannot do their homework under a bridge or in the cramped, smelly, cheap motel rooms where illicit activities are rampant. These students move from school district to school district several times a year, which makes it even harder for them to make the grade. Homeless children exist, and it would be a fallacy of near criminal proportions to simply look the other way, as if by ignoring these innocent young faces, we could will the problem away. Finally, it would be an unforgivable shame on our country’s leadership if it continues allowing this problem to grow. Randy Jurado Ertll is author of the novel The Lives and Times of El Cipitio. Visit his website is www.randyjuradoertll.com. His article is reprinted here courtesy of www.lacomadre.org, where it first appeared.